The love of a man is true love, authentic and never ending. A prince of the fairyland baba, nothing on earth is easy without him. His voice whispers in my ears always, I see him being with me when I walk alone, I feel his presence around me. It seems he listens to everything I speak I walk slowly on tarress to come upto his speed. I miss him. His shadow sighs upon me.. A few days back I was afraid to face the darkness but now I fear nothing I find peace in darkness, I find baba there in. The brightest twinkling Star on sky seems as baba shining high above. No one can have the feelings I feel for him, my baba, my star, my everybody. May Allah bless his soul everywhere everytime as he saved and blessed many babies and lives by his professional skills of being an anesthetists and being a wonderful body and now respecting soul. 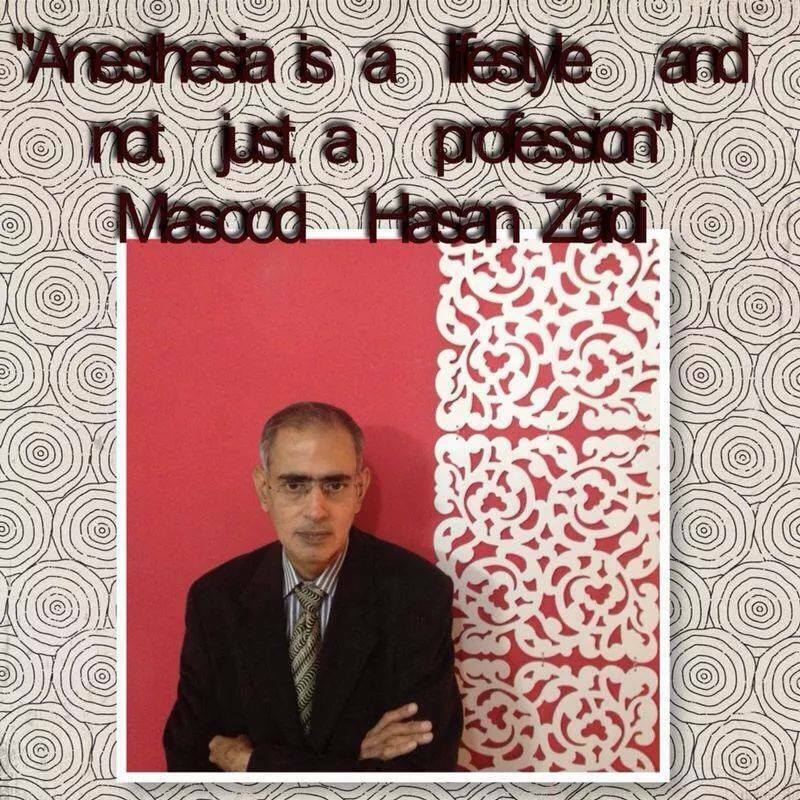 Anesthesia is a lifestyle not just a profession. The Story – First Ten Years of My Existence. There are memories no one knows, they are just pictures in my head. A lot of them sponged in my brain. The people it holds are really precious, they are the pillars of my growth and a few of them even passed away to the eternal world and left me with reminiscences. Each memory is so costly that its value is nothing but tears. Everyone is not capable to feel it but who can, feels it to the depth. 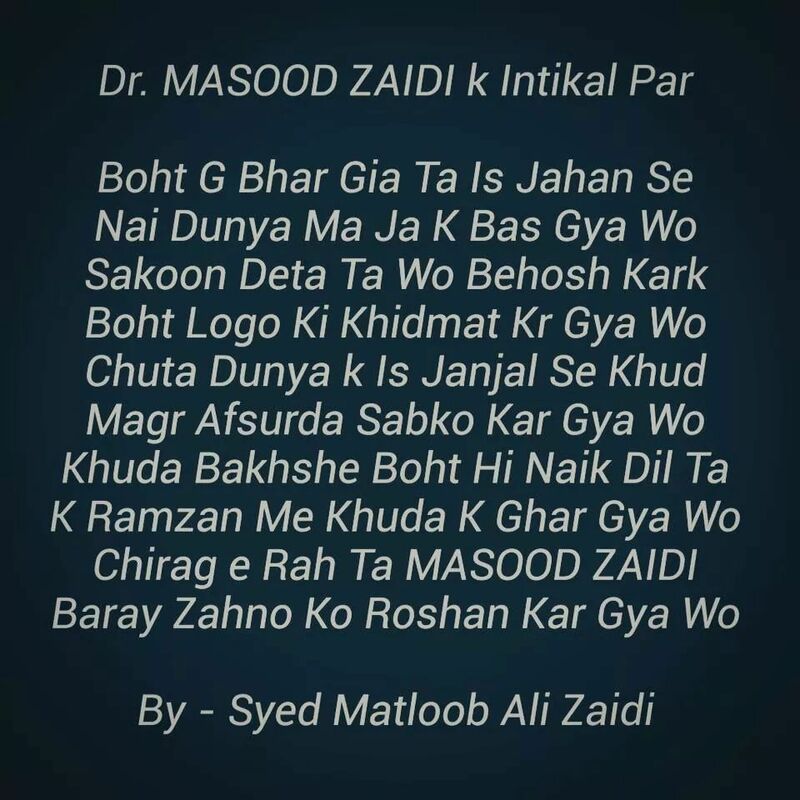 It is a story of my childhood, a narrative of a girl named Fatima Hasan Zaidi (JIA) who was born back in 1992 in Pakistan. In my brain the images of past are apparent ranging from the age the of two till ten. I remember every bit of my life and the people comprised in. just started with a little thought to revive the memories and thanks all the people who helped me in making me what I am now. I was a little girl, who had a glorious ancestral house no one can ever have located in mainstream city. There I had many people who added colors to my story book. I was an infant and all took care of me. I did not know how to walk or talk until I was two years old. I used to sit on the floor and slide around the surface in order to walk. All the people made circle around me when I started to take steps. Baba was my feet… he used to hold my fingers enclosed in his fists, made me stand on his feet and walked which gave me the sense if it was me walking myself. I went all around with baba. The rawal dam and the boat. I remember my pink doll he gave me in Saudi Arabia. Of how we used to walk till the market, rolled on floor in rain and played doggy doggy. 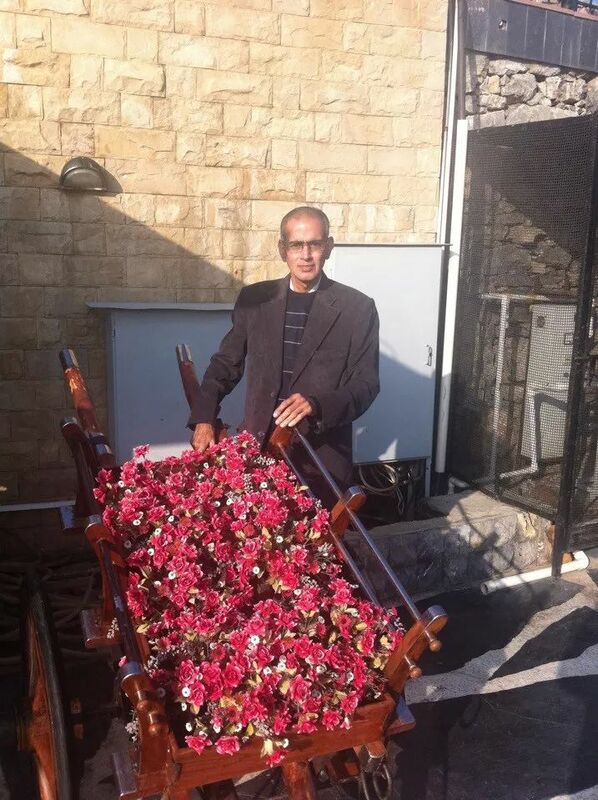 My grandfather, papa ( Syed Qamar Saeed Zaidi )… No man like him, my journalistic inspiration. Only four years I spent with him but he was a gem. He used to listen to me. Everywhere took me on my pram. He used to take off my shoes and the days were golden I walked with him in the hallway with hands tied at back, both alike. Ami and then “ami ka ghar” she was mine, my grandmother. The candies and the junk food she gave me. She used to let me sit on tanga. With her it was so unique. Her voice so melodious I can still hear it humming to me a bed time rhyme. The majlis at the house and after it I used to blab about of mic. Iju chacha, I always complained to him about Tina. How happy I used to be when I showed him those little orange tigers and used to get coins. I bear in mind hiding his boxes of cigarettes. So, I was her tail, as she used to cover her head with a shawl I was at her back. Nano, I wanted to go everywhere with her. I always held mama’s little finger while crossing the road. I loved her self made stories for me. One day I was just kissing her palm and bit it and it started to bleed and I got a slap. She used to play with me. She was my Maa. There lived Fauzia, she had a guitar in it daily came money by magic. She used to crawl like a bear and be my airplane to make me eat food. Moni was a monkey; I went with her to her school and I tried catching squirrels. No specific reason but always admired Bushra Zaidi from the beginning. She was like a rabbit. She made me happy when on my 5th birthday she brought for me a banner. While being in Saudi Arabia at the age of 6 I learnt how to send email and daily wrote to bush. There I bought a pink car for my Barbie and its number was JB and I thought j was for jia and b for Bushra. Tina, she was one of the angry creature always used to be angry and I loved teasing her and two of her friends. 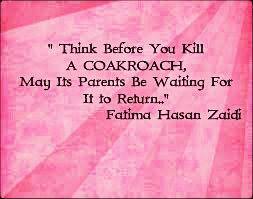 I loved t when she was scolded by ami, papa, iju chacha and fauzia. I loved playing with her pink elephant and other stuff toys. So here it ended about my ancestral house. Next comes nono, she was my horse because she had a big pony tail. Chacha, with him I used to be on bike. I liked smelling petrol. He used to make me afraid of doggy telling him I do not eat and then I used to tell to the dogs that “ mene anda khaia ta”. Dado all the time saved me from scolding. She took permissions for me and used to take me to parks, narrated the stories to me with lunch and dinner. After the lovely family, I had the best neighbors indeed. Hira, I used to stay at her home all day long. All I enjoyed there were the fish, chicks and hen. She played the song for me “ I am a Barbie girl.” We played barf and pani (Ice and Water) and much more. There in her home was a ghost called imran bhai. Later in Saudi Arabia; I had Tooba, aunty and hafeez uncle. I loved them so much. I have a vivid memory of going with you people to the masjid and played around. Staying all day with you and your doll house. That big curvy slide of Pepsi Park and both of us. Wearing your burqa and getting afraid of myself. 😀 and my barbies birthday. 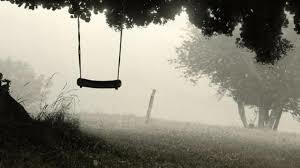 With you i had my best Eids… Those restaurants and their swings and I remember getting stuck in it. Of how we used to watch DISNEY HOURS daily and played MARIO at your home. Hafeez uncle was my favorite uncle there and still miss him the most. I miss my childhood i want to there back again.